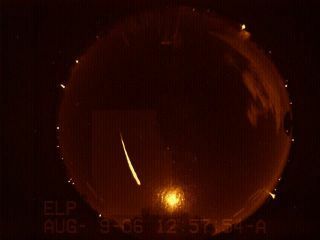 The annual Perseid meteor shower is expected to put on a good display of shooting stars in the pre-dawn hours Tuesday. The best views will be from rural locations away from light pollution, where up to 60 meteors per hour could be seen, weather permitting. Urban and suburban skywatchers can expect far fewer. The Perseids are bits of debris left by comet Swift-Tuttle.The debris is like a river of small particles in space, and each year, Earth passes through it. As the bits zoom through our atmosphere at 37 miles per second (60 kps) they vaporize, creating the brilliant streaks of light. Most of the meteors are no larger than a grain of sand. The shower is typically best between midnight and dawn, when the side of Earth you are standing on is plowing into the stream as our planet plunges through space in its orbit around the sun. It's similar to how bugs hit the windshield of a moving car but rarely smack into the rear bumper. The annual shower begins as a trickle in mid-July and will continue to spark a handful of shooting stars for several nights to come. But Earth passes through the densest part of the stream Aug. 12 at around 7 a.m. ET (1100 GMT). The moon will set around 1:30 a.m. local time (regardless of your location), leaving the sky dark for a few hours of optimal meteor watching across much of North America. "There should be plenty of meteors -- perhaps one or two every minute," said Bill Cooke of NASA's Meteoroid Environment Office at the Marshall Space Flight Center. Cooke said the brightest Perseids can be seen from a city, but the majority are too faint and are visible only from rural locations. Find the darkest location you can, away from porch lights and other lighting. Use a blanket or lounge chair to lie back and scan as much of the sky as possible. Allow 15 minutes for your eyes to adjust to the darkness. Binoculars and telescopes are of no use, as the meteors move too swiftly. Expect the shooting stars to arrive in groups. While scientists forecast 1 per minute during peak hours, the pace in fact tends to be higher for brief periods with relative droughts in between. Patience is truly a virtue. The best time to watch, regardless of your location, is from 2 a.m. to dawn local time, but the best seats will be in the western half of North America where dark skies coincide with the peak activity. The Perseids get their name from the constellation Perseus, from which they tend to emanate like spokes from the hub of a wheel. The meteors can make their appearance anywhere in the sky, however. Perseus rises in the northeast around 9 a.m. local time. So Monday evening, avid skywatchers will head out after 9 p.m. in search of early Perseids that tend to fly along the horizon. These earthgrazers, as they are called, are rare but rewarding sights.